Is it warm in here, or a hot flash? Home » Blog » Is it warm in here, or a hot flash? Just hearing the words “hot flash” is enough to conjure up feelings of dread – or even another hot flash – for women in midlife. Known as the defining symptom of menopause, a hot flash is a sudden rush of warmth that engulfs the face, neck and chest, followed by sweating and then, often, cold chills. A hot flash can strike at any time. Some women experience a couple a day, while others have one or more an hour. Night sweats, the nocturnal cousins of hot flashes, can be just as unpleasant. Women who experience night sweats often wake up soaked in cold sweat. Blankets first feel suffocating, then too light. Some women have difficulty falling back to sleep after night sweats, or wake up sweating several times a night—a recipe for exhaustion and other health issues related to sleep deprivation. According to recent studies, hot flashes and night sweats affect as much as 80 percent of all women in the United States and have a negative effect on their quality of life. More than half of these women seek medical help for their symptoms. Until recently, the general belief was that most women experienced hot flashes in the same way, and for the same duration— a few years at most. But new findings by the Study of Women’s Health Across the Nation, or SWAN, shows that women experience hot flashes very differently: some women experience rapid heartbeat, dizziness and nausea during hot flashes; some have hot flashes for only a few years, and some have them for decades. “Hot flashes can be debilitating,” says Malea MacOdrum, a naturopathic doctor and licensed acupuncturist who specializes in women’s health issues and cancer care at Providence St. Vincent Medical Center in Portland, Ore. Although there isn’t a “cure” for hot flashes, she says, there are things women can do to help reduce their severity and the discomfort they cause. During menopause, women experience a loss of estradiol, the most potent form of estrogen. Estradiol is a hormone that’s important in the reproductive years. It influences serotonin, a neurotransmitter, or chemical messenger, in the brain that helps control body temperature. Here’s another way to think of it: The thermostat in your brain, known as a thermoregulator, is similar to the thermostat in a house. It controls the heating and cooling of your body. When the thermostat is constantly changed, your body – like a central air system in a house – adjusts to cool the body down or to heat it up. Dr. MacOdrum has a toolkit filled with ways to help patients suffering from hot flashes and other menopausal symptoms. Some women are interested in hormone therapy (HT); others are looking for botanical options to help manage uncomfortable symptoms. She tailors the approach individually to each woman. For some women, the benefits of hormone therapy outweigh the risks. “If a woman is suffering, HT is a reasonable option to consider,” says Dr. MacOdrum. “But I remind my patients not to take HT for more than five years, not to take it over the age of 60, and not to take it beyond 10 years after menopause,” she says. However, if a woman has had a stroke, heart attack or cancer, she advises against pursuing the HT route, altogether. “Deciding whether or not to pursue the HT option should involve a lot of discussion about the risks and benefits,” says Dr. MacOdrum. Botanicals are used by women around the world to help alleviate symptoms of menopause. Most natural treatments are safe and don’t come with significant health risks; however, Dr. MacOdrum recommends talking to your provider before taking any herbal or natural supplements. Black cohosh, a member of the buttercup family, is a folk remedy for hot flashes, night sweats, vaginal dryness and other symptoms that can occur during menopause. Study results are mixed on whether or not it effectively relieves these symptoms, but the National Center for Complementary and Integrative Health (NCCIH) has found the possibility of benefit strong enough to fund more studies to explore its potential. Dr. MacOdrum prescribes black cohosh to some of her patients, and she’s seen positive results in many of her patients. She says the same for red clover, a perennial herb that commonly grows wild in meadows throughout Europe and Asia. Red clover is a source of isoflavones—chemicals that act like estrogens. Researchers believe isoflavones might help reduce symptoms of menopause, such as hot flashes and night sweats, because of their estrogen-like effects. As with black cohosh, studies of red clover have produced mixed results, but it’s still a popular option with a lot of women. Dr. MacOdrum believes it’s a good choice for some patients. She often recommends red clover in capsule form or as a tea. As a doctor of integrative medicine, Dr. MacOdrum recommends trying several options together to maximize benefits. Trained in acupuncture, she applies this technique to some of her patients, with overwhelmingly positive results. Her patients see a reduction in hot flashes, as well as improvements in their sleep and moods. For her patients who have trouble falling asleep, Dr. MacOdrum recommends a handful of raw almonds before bed. The protein in the nuts helps create the sleep-promoting amino acid tryptophan. You’ll find more research-based information about menopause at the website for the North American Menopause Society, as well as a link to their journal, Menopause. To learn more about alternative ways to help reduce the symptoms of menopause, click here. If you’re curious about integrative health, you’ll find a lot of information at the National Center for Complementary and Integrative Health. You don’t have to suffer in silence. If you are experiencing symptoms of menopause, talk to your provider. 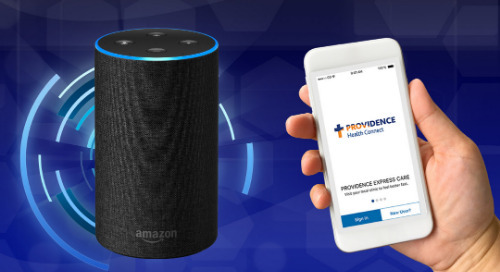 If you don’t have one, you can find a Providence provider in our multistate directory. Lack of awareness may be the reason it tends to be diagnosed in later stages. British researchers believe they have found a shortcut to treating depression.